Grandview Nature Preserve forms the northeast corner of the city of Hampton. The Preserve covers over 570 acres of salt marsh, tidal creeks, and Chesapeake Bay beachfront. The Preserve is open to the public for free, but has limited parking along State Park Drive. 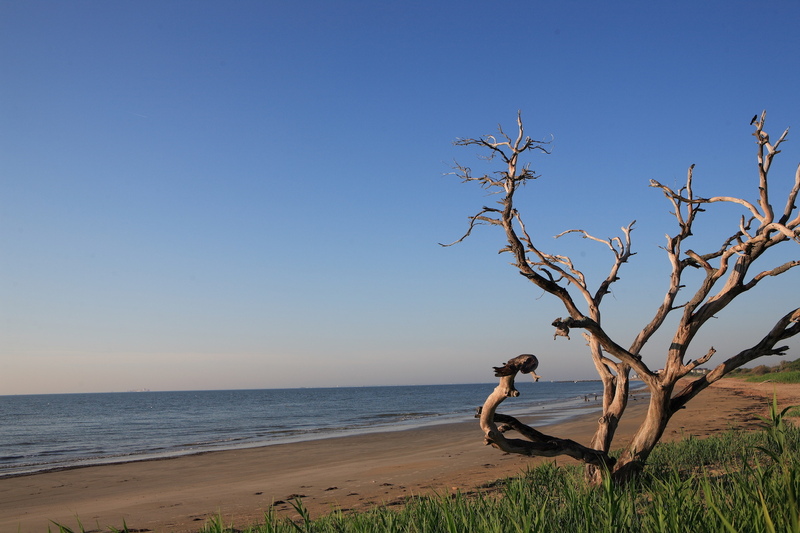 The Preserve is a great location to beach comb, observe the migratory birds, and discover the wonders of wetlands. Canoeing & Hiking Programs at Grandview are done through Buckroe Beach Park. Please call 757-850-5134 for details on current programs at Grandview. The Nature Preserve is open year round from sunrise to sunset daily. I-64 exit 263 toward Hampton Coliseum. Take left onto Foxhill Road. Follow to Beach Road and make a left. Follow to end and make a left onto State Park Drive. The Nature Preserve is straight ahead.